February 4: Wondering if the thieves are after gold or the gods! Starting a weird coincidence, two cases of theft in temples took place on Sunday. 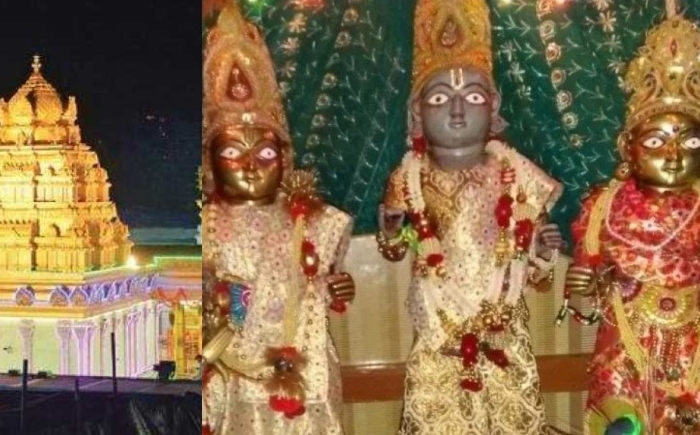 Three golden crowns, from Sri Govindaraja Swamy temple at Tirupati were reported missing, and on the same day, three 'asthadhatu' idols also went missing from a Lord Ram temple in Rampurwa village in Bahraich, Uttar Pradesh. The three golden crowns in Tirupati temple collectively weighing about 1.3 kg adorned the statues of deities Lord Venkateswara, Sri Lakshmi and Sri Padmavathi at an ancient shrine inside the temple complex. According to a security official of the Tirumala Tirupati Devasthanams, Surveillance camera footage was being examined to track the culprits. The TTD has also filed a complaint with police who have started a probe. But so far, no arrest has been made in the case. Meanwhile, the three 'asthadhatu' idols worth crores of rupees, from Lord Ram Temple were stolen by cutting opening the temple's channel gate. Thieves decamped with statues of Lord Lakshman, Lord Hanuman and Goddess Sita. The thieves, however, did not take away Lord Ram's statue, besides some small ones. Additional superintendent of police Ravindra Singh told the reporters, “The cost of stolen statues is said to be crores of rupees. A case of theft has been registered and the investigation started. We hope to nab the thieves soon”.